This entry was posted on January 15, 2014 by Johannes Fehrle. 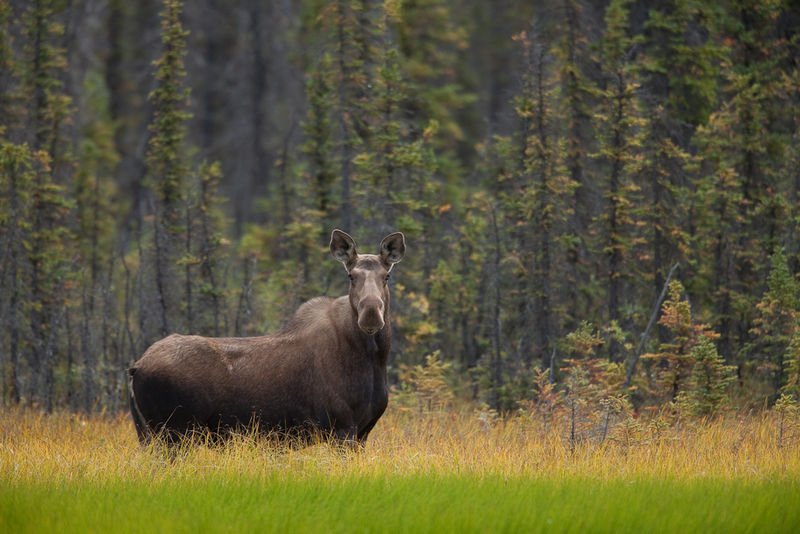 It was filed under New Gear, Updates, Wildlife Photos and was tagged with Hardware, Moose, New Years Resolution, North America, Updates, wildlife. Good to hear from you and look forward to more blog posts and seeing your pix! If the scanning service thing works out, I’ll sell the Nikon 5000 to help pay for the scans! My other big photographic news is that I just bought a Canon 6D, my first full-frame sensor. I got it because I’m still unhappy with the detail/sharpness of my pictures even though I have good lenses (at least, I think they’re good…) I realized, correctly I hope, that I was still thinking film, where the lenses are crucial but the camera doesn’t matter so much, whereas with digital, I think the camera matters a lot. And photography isn’t even my main interest in life! I’m learning new Schubert waltzes all the time, just started working on 4 more this week. I counted them up last night and found that over the years, I’ve learned over 70! And I’ve reserved a small hall with a decent piano to record some of them in July… I much, much, so much prefer to sit in front of a piano than a computer!!! good to read from you. I have no experience with scanning, so can’t help you there. But I am curious to hear what you think of the 6D. I’ve only read about it, but it seems like an odd bag, I hope to be able to afford a 5DIII this year, or maybe even a 1Dx (I might have to sell a kidney for that) and solve my fast action focus problems once and for all – we shall see how it goes. Glad to hear you are playing the piano again, I thought you’d stopped doing that. If you have any recordings I’d be interested to hear them. I still listen to the one you sent me way back when occasionally. All the best!